Over the best part of 15 years, Andrews Automation Ltd have built up a reputation for providing conveyor systems and other materials handling solutions to a wide range of industries all over the UK and beyond. Many of these clients are well known household names and have approached us to provide a solution that perhaps our competitors would shy away from. 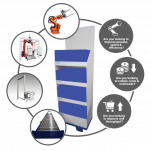 Although our flagship product is the conveyor system, in particular the heavy-duty pallet conveyor system, here at Andrews Automation Ltd we specialise in the integrated conveyor system and include many ‘Value Added’ options including pallet lifts, turntables, pallet wrappers, pallet strappers, robot palletisers, transfer cars, sortation systems, barcode scanners, pallet dispensers to name but a few. 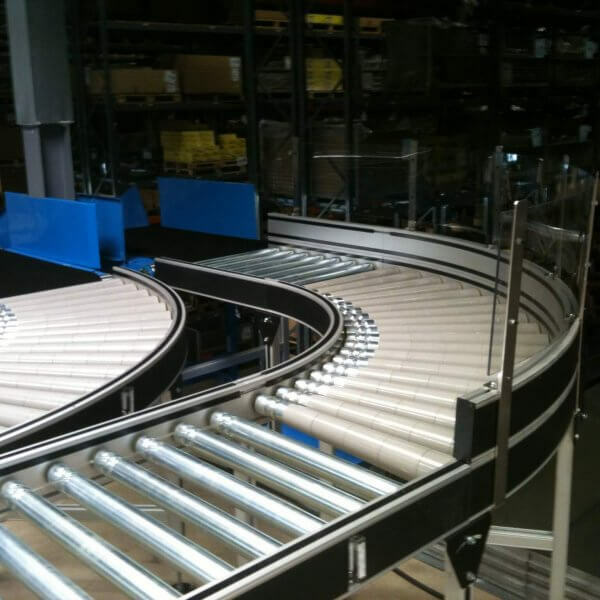 When designing a conveyor system for a client, our in-house design team take a standard layout and whether it be a roller conveyor, belt conveyor, or chain conveyor, we will tailor the design to suit the clients application. Whether it is required to transport palletised goods, boxed goods, irregular shaped goods such as stillages, a solution can be worked on based on customer requirements. Controls for each conveyor system is again designed in-house, and our facility at Goole has its own electrical bay where we build our own PLC’s and control panels. Although our preferred logic source is Allen Bradley / Rockwell, we are equally as comfortable is providing alternative logic systems such as Siemens for example. A conveyor system need not require controls. Andrews Automation Ltd are also designers and manufacturers of non-powered roller conveyor systems. 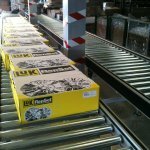 Having worked within the wood industry for many years, we have built up a portfolio of projects totally a number of kilometres of conveyor. 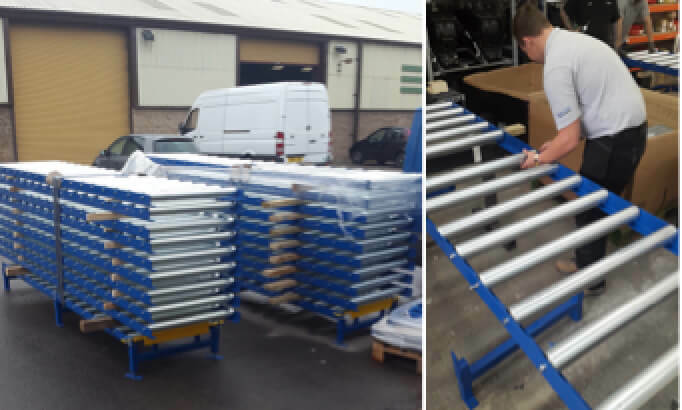 A number of which have incorporated manual flip stops in order to manage and control heavy loads, and manual push transfer trolleys to guide palletised products to the correct area of the facility.